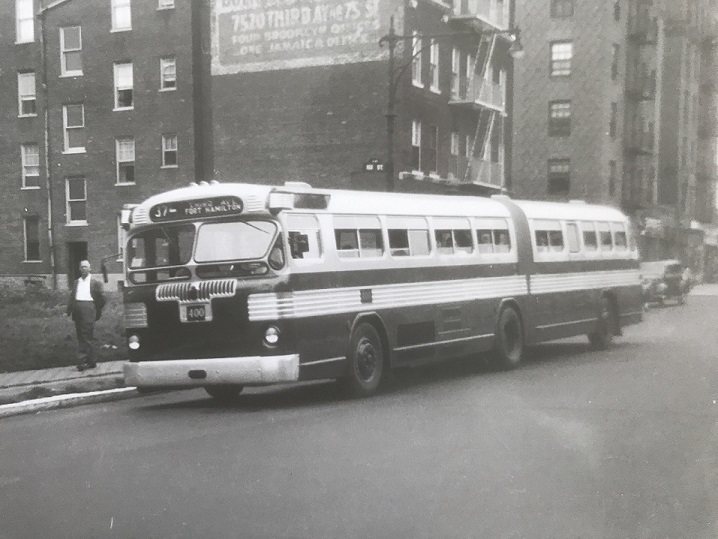 To piggy back on another thread, "Had double deckers never left 5th Avenue", feedback was posted in that thread on current artics in New York and in general, I've decided to create a new topic dealing with the artics only. 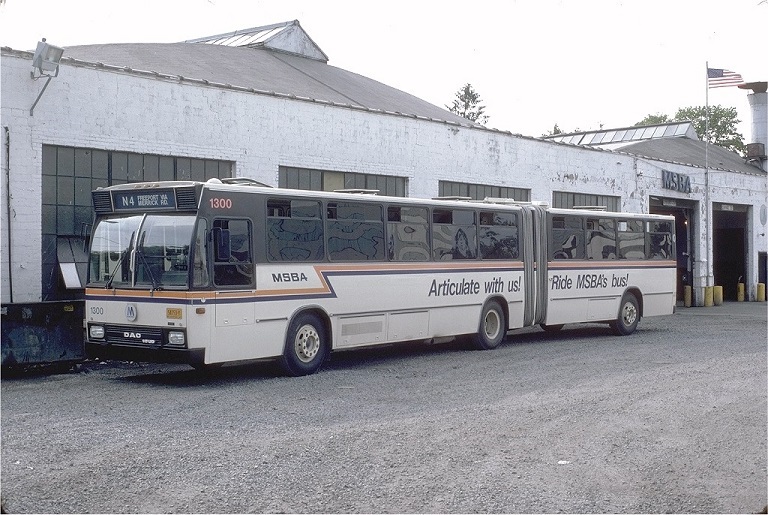 a) Twin Coach, #1400 as operated as a demo by the New York City Transit System. 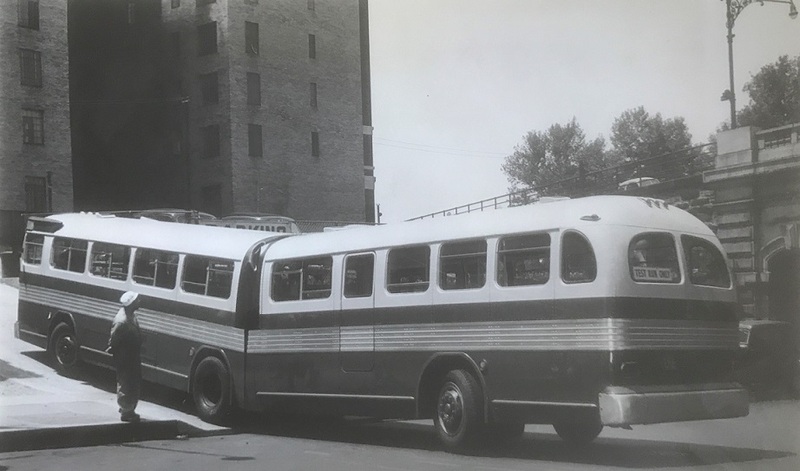 This was the 1938 "Super Twin"
Two observations, one: the bus did not bend as modern artics do, it simply flexed vertically; secondly; the last axle was steerable. 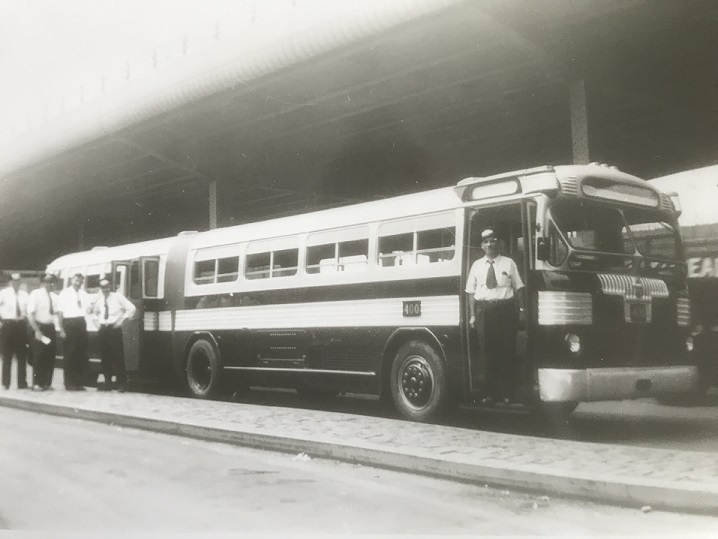 Thanks for sharing these great old photos.....man, those buses were BEASTS!!!!!!!!!!!!!!!! Talk about your "Armstrong" Steering ! 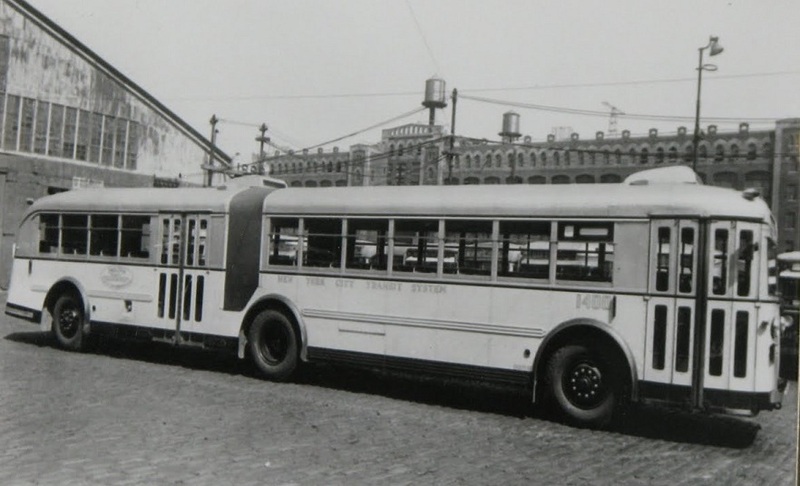 Are you certain that bus did not have some primitive sort of power steering? It would seem to almost have to have it, in order to link those steerable rear axles to the front, wouldn't it? THAT IS ONE BIG BUS!!!!!!!!!! I wonder how many Nassau County bus routes had sufficient ridership to warrant use of artics?